Ljubljana, through the Institute of Urban Planning of the Republic of Slovenia (UIRS), has been involved to the Human Cities from its very beginning by no surprise. 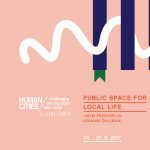 Dealing with public spaces and participatory design the Human Cities project offers an excellent framework for the further steps in developing the methodologies and concrete design ideas for Ljubljana’s public spaces in the future. 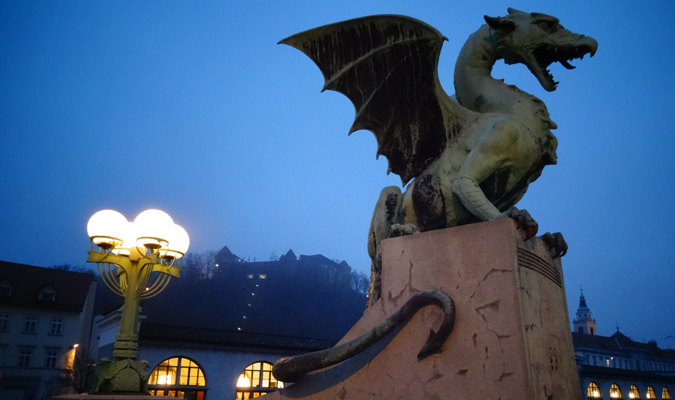 Indeed, design always had been an important part of Ljubljana’s agendas. Created in 1963, the Biennale of Industrial Design of Ljubljana, commonly called BIO, is one of the oldest Biennale in the European Union. On the other hand the research approach to address the urban challenges has a long tradition in Ljubljana too with UIRS being established back in 1955 already. 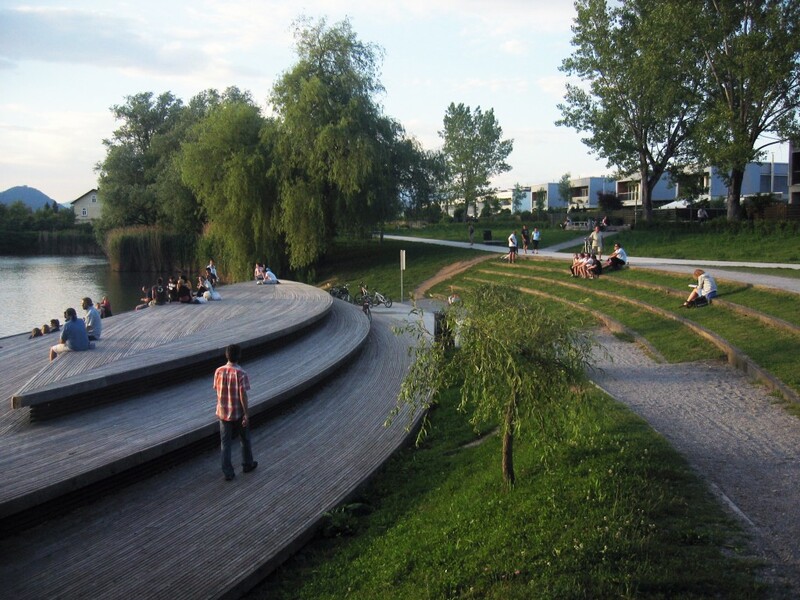 Thus one of the Human Cities challenges for Ljubljana is to put the design and urban research traditions together to rich an added value for future of the city’s public spaces, namely in its peripheral areas that are in a big need for further improvements. 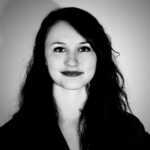 May you see the challenge in this yourself too, do not hesitate to contact us in the Ljubljana Human Cities team. Ljubljana might be the smallest European Capital, but it is a place where you fill well to live! The municipality jointly with the citizens and the public and private bodies managed to create some major events that make the city more livable and pleasant for the everyday life. Public bodies but also citizens try to redesign and challenge the public spaces in order to offer new services and activities to the users. 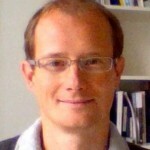 Let’s name some examples. 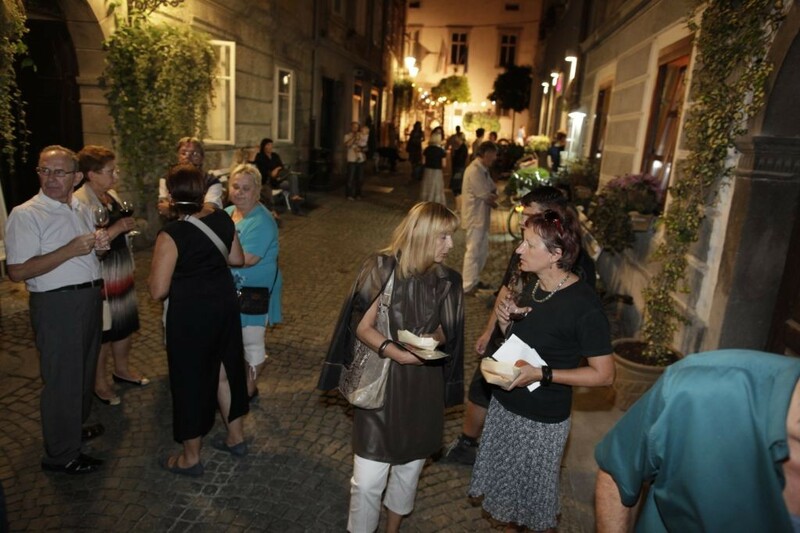 When the spring is back citizens can enjoy events such as Open Kitchen where restaurants get out of their places to gather in the market place of Ljubljana, or read books in public spaces thanks to the association Library under the trees. Many events and practices created by the municipality were focused on the city center. Therefore some more recent initiatives appear to bring back life to the other parts of the city too. Such innitiatives appear in the neighbourhoods of Bratovževa ploščad and Savsko naselje for example. 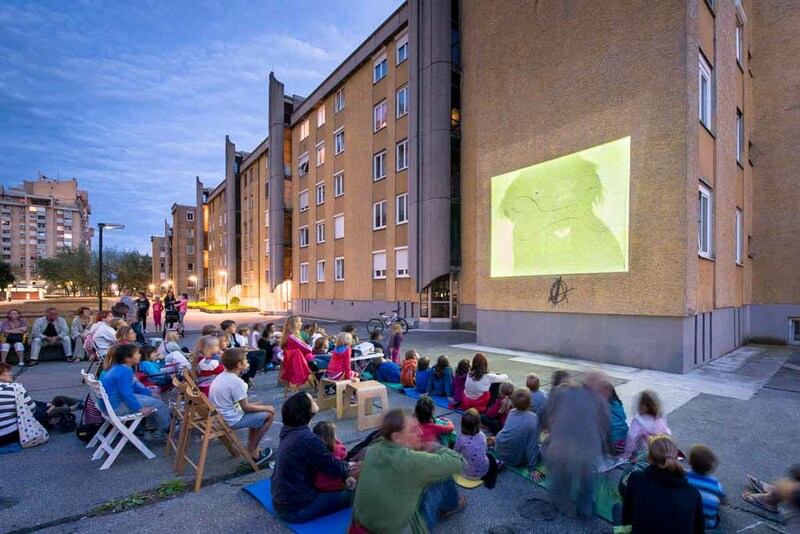 One of the earliest associations active in reanimating Ljubljana’s public spaces is Prostorož which develops new approaches to reactivate commons in the city by different means. Creation of games for children with association Sezam or urban gardening are some other examples of participatory initiatives happening in Ljubljana. Creative and active, Ljubljana will also host the Flow Festival for the first time at the end of June 2015, a musical bottom up initiative originating from Finland. Ljubljana is the capital and the largest city of Slovenia. It is an economic, political, cultural and educational hub of a nation and centrally positioned within the state territory, which makes it a very vibrant place. It is a refreshing and green city which won the 2016 European Green Capital Award and the European mobility Award twice. Its charming central area is adorned with different architectural styles which developed throughout the 2000 years of city’s existence. Once a roman city named Emona, the city evolved further during the Middle Ages. From this period, Ljubljana’s city center kept its morphological outline with the picturesque castle hill dominating the city. Many fires devastated the city during the history, demolishing evidences of earlier civilizations, but also introducing new styles to the city. The same happened after the great earthquake of 1895 when many buildings were destroyed. The renovation adorned the city with some fine examples of Art Nouveau or Secession Style. While many architects shaped Ljubljana into a unique national centre, one of the most outstanding is Jože Plečnik. His peculiar style and a number of interventions such as Triple Bridge, Bežigrad Stadium, Žale cemetery and Central Market, markedly contributed to Ljubljana’s distinctive character. After the Second World War the city saw a fast development and modernization with new industrial complexes and accompanying housing estates in the suburbs. It is Edvard Ravnikar, a student of Plečnik, who markedly worked with Le Corbusier, who largely influenced the development of Ljubljana during the Yugoslav era. In the 1980’s new subcultures emerged in Ljubljana, modifying the architectural and cultural spirit of the city as well as announcing the great socio-economic changes to happen in 1990’s. New places dedicated to this subculture where created such as Metelkova City, a Ljubljana equivalent of Copenhagen’s Freetown Christiania. Kino Šiška, a cultural center dedicated to contemporary art and subcultures also represents a new spirit of Ljubljana. After the disintegration of Yugoslavia, the free market economy concept was gradually implemented in the Republic of Slovenia. 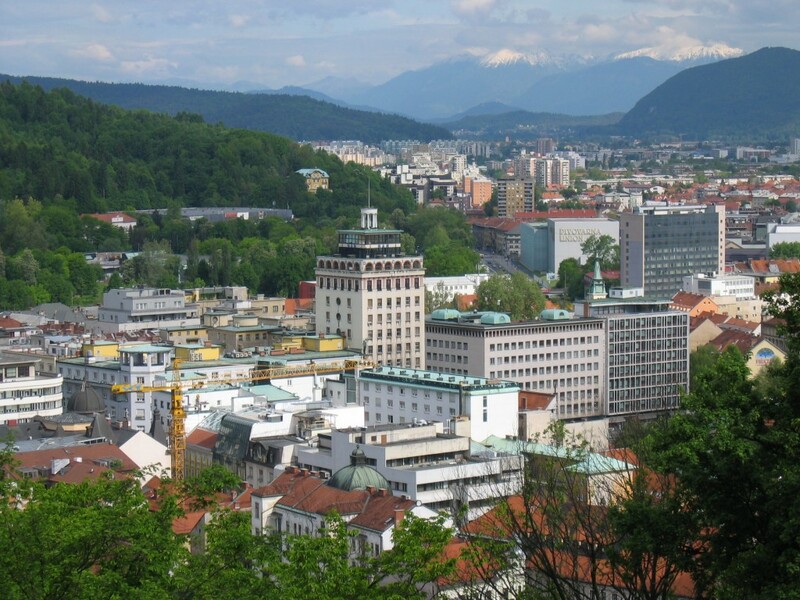 The transition was rather dramatic for the city of Ljubljana, which had to face the de-industrialization, motorization and suburbanization processes to name some most outstanding. The gentrification of the central city area and the rising costs of urban living made some inhabitants leaving the city. 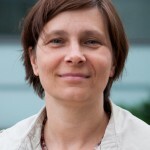 Ljubljana had to define its new strategic urban development plans. 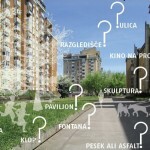 Among others these plans foresee the renovation of the city center (creation of pedestrian zones, redesign of the river banks), regeneration of abandoned urban areas such as Smartinska Development, improvement and introduction of sustainable mobility as well as protecting urban green by safeguarding urban forests, greenways and wetlands. The city centre renovation program proved to bring new life to the central urban area, but many citizens feel that the municipality was putting much effort and money into only one small city area at the expense of others neighborhoods of the city. Some citizens already took an active respond by setting up participatory initiatives in public spaces, including the once already present tradition of solidarity.